All of our candidates are opposed to the new civic complex and theatre and all are standing on the 2019 Local Manifesto. ANNE MUSKER is a solicitor specialising in helping families with Special Educational Needs Tribunals especially for children with autistic spectrum conditions. She has been a wheelchair user since 2000 and thinks the tax cut she got as a higher rate tax payer was indefensible when the NHS is struggling, people cannot find homes and disabled services are cut. She opposes massive spending to build a civic centre in Tunbridge Wells which will be partly paid for, but hardly used, by people living in towns and villages in the outer reaches of the borough. DAVID ADAMS has lived in Tunbridge Wells for 30 years. He heads a research company whose clients include Bank of England and private equity and institutional funds. He opposes the £90m Civic development in Tunbridge Wells and instead seeks prudent capital investment across the Borough and the provision of more affordable housing without harming the countryside and character of our towns and villages. SIMON FOWLER has lived for most of his life in the area covered by the Borough of Tunbridge Wells and has lived in his Lamberhurst family home for the last 44 years. A retired financial accountant with 28 years in BT and 18 years in a Southborough Export House. DR ANA DRAPER lives with her husband Kevin and her family in Hawkhurst, where she has lived for a large part of her life. After attending local primary and secondary schools she went on to train and work as a nurse, psychotherapist, and consultant. She is a clinical lead for the Refugee services for a London NHS Trust and a post-adoption clinical lead in Kent. She and her husband currently give supported living to a young care leaver. 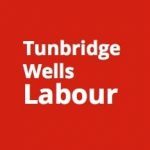 Ana thinks that people living in rural areas have a raw deal from a borough council which is focused too much on Tunbridge Wells. She wants improved public transport and genuinely affordable homes to help people stay and raise families in the areas they grew up in. CLLR DEREK BOYLE works in education. He moved to Paddock Wood 10 years ago and has been a Town Councillor since 2015. He is passionate about ensuring high-quality services for young people. He wants more genuinely affordable housing to buy and social rented housing in the town and to be a strong voice for Paddock Wood on the borough council. CLLR RAY MOON has lived in Paddock Wood all his life. He worked for British Telecom and retired in 2014. He has been a Town Councillor for over 30 years and been Chair of the Council. He welcomes new houses in Paddock Wood but only if there is an adequate infrastructure to support them. He wants houses that are genuinely affordable so that local people have the opportunity of staying in the town. He wants to reinstate the 2 hour free parking in Paddock Wood. JOEL TURNER works and lives in Tunbridge Wells. BJORN SIMPOLE lives in Tunbridge Wells with his partner and young daughter. He has 20 years of experience working in local government and currently works in a policy role for a London Borough. If elected, unlike the two Conservative councillors, he promises to be active in the ward and hold regular surgeries. 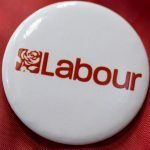 He is appalled at the state of the roads in the area and lack of affordable housing and would speak up for residents on potholes, congestion, parking and pollution – particularly on Rusthall High Street. He would use his knowledge and experience to fight for a better deal for residents living in the ward. HUGO POUND is a chartered psychologist specialising in corporate leadership and strategy. He has worked in industry, consulting, the NHS and as a qualified social worker in a London Borough. Married with three grown-up children, Hugo and his family have lived in Tunbridge Wells for 26 years; he is a Governor of Skinners’ Kent Academy, a member of the Lawrence Atwell Charity and a liveryman of the Skinners’ Company. Hugo’s particular interest is in family support, housing and mental health. He strongly feels that the Borough Council needs to refocus and reprioritise its efforts in all three of these areas. LUKE EVERITT lives in Tunbridge Wells. His childhood and early adulthood were spent in Southborough and High Brooms and his family roots are within these communities. He worked for the borough council for five years and now works for UNISON. 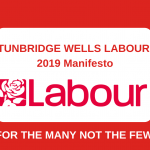 Luke strongly believes the conservative led council’s focus on Tunbridge Wells (TW) has been at the cost of local services for Southborough and High Brooms. While the Southborough Hub budget has been slashed, a vast £90+ million will be spent on a very unpopular and ultimately unnecessary new town hall and theatre. The council needs more Labour councillors to challenge the string of bad decisions nodded through by TW focussed conservative councillors. With your support he looks forward to joining a hard-working Labour Team of borough councillors like Dianne Hill and Alain Lewis. LOUISE REID works for a charity, has lived in Tunbridge Wells for many years and went to school locally. She is angry that there is so much building of high priced luxury retirement apartments in a town that needs more diverse housing to suit all needs and budgets – including younger and older people on low incomes. She is passionate about green spaces and the contribution they make to mental health and well being.